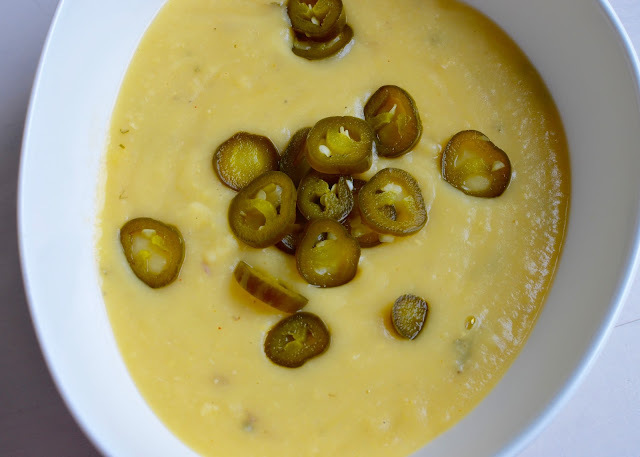 Creamy potato + tangy lemon + spicy jalapeños = yum! The recipe for this creamy bowl of sunshine can also be found in Jill Nussinow's The New Fast Food: The Veggie Queen Pressure Cooks Whole Food Meals In Less Than 30 Minutes. Although Jill's recipe doesn't call for spicy jalapeños, I though they were the perfect addition!